I tried all of the tricks found on YouTube to get thumbs back but the generic fixes don't apply here. All other thumbnails work properly.... just iAvatar and iProject thumbs are missing. 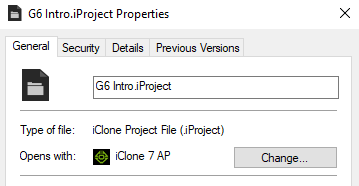 Are the files still associated with iClone 7 and Character Creator? You can check this by right-clicking one of the .iProject files and checking Properties. It should be like the image below. Hi. Thanks for getting back to me. 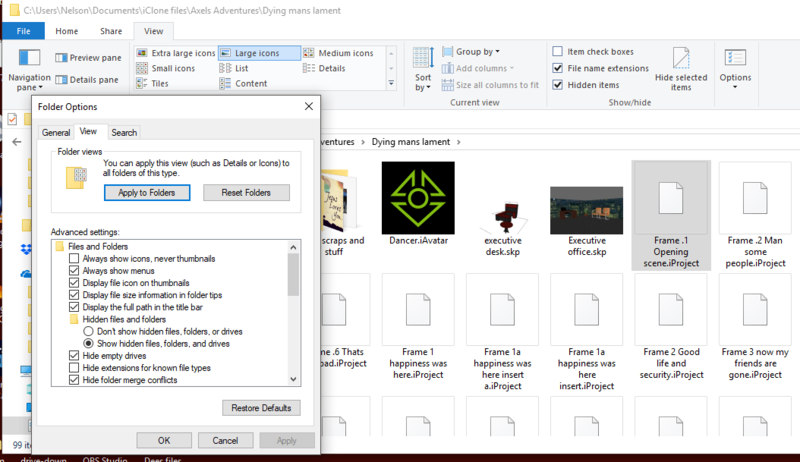 Yes, they are associated to the programs and when I double click the file, it will go right to the program. I found a solution in case anyone runs into the same issue. Upgrade to latest patch or reinstall iclone 7 over your installation.